Town 32911 Stainless Mandarin Strainer, Perforated, 5" Handle, One-Piece, 11"
Stainless Mandarin Strainer, Perforated, 5" Handle, One-Piece, 11"
"This strainer works great with any 14" or 16" wok it is made well and it should last a lifetime! 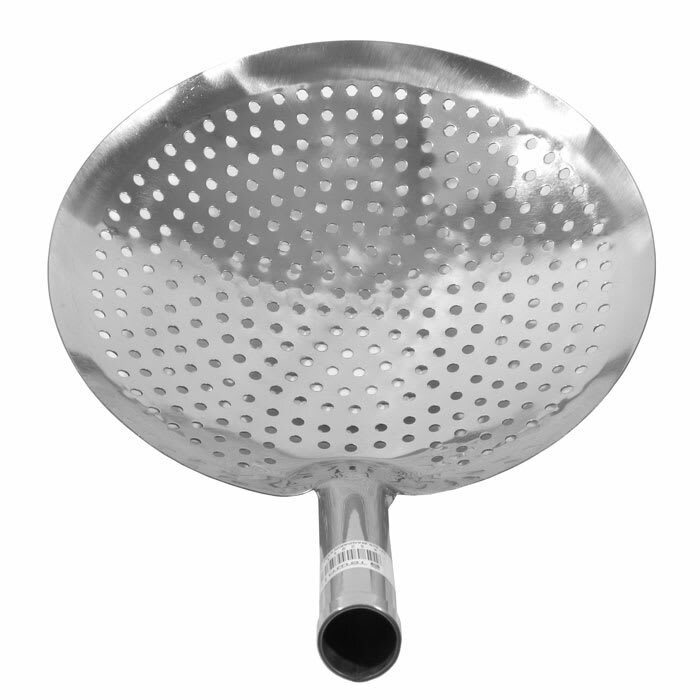 The only improvement I can see would be the addi..."
"This strainer works great with any 14" or 16" wok it is made well and it should last a lifetime! The only improvement I can see would be the addition of a longer handle but you can easily make one out of hard wood and insert it into the hollow handle and rivet it in place."